LinkedIn has been a surprising goldmine of gaming leaks. Many gaming professionals have unwittingly revealed confidential projects by posting their resumes which contain detailed descriptions of assignments that they’ve been a part of. Today, joining the growing list of gaming secrets revealed prematurely via LinkedIn is Capcom’s Dead Rising 3. Gamerant reports that two employees from Blur Studio, a company that “that specializes in putting together some of the best CGI trailers that have been seen throughout the game industry,” have listed Dead Rising 3 as a project they’ve created a trailer for. The employees in question noted their roles as “hair technical director” and “rigging supervisor.” According to their resumes, the trailer for Dead Rising 3 was completed last year. Blur Studio has worked on trailers for high-profile titles like Dishonored, Injustice: Gods Among Us and BioShock: Infinite. 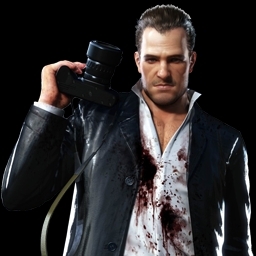 Considering the success of Dead Rising 1 and Dead Rising 2, it’s comes as no shock that the franchise is getting a third installment. However, aside from teasing us about the game, Capcom has yet to unveil anything official about Dead Rising 3. Speculation at the moment is that the game will feature a brand new protagonist, as has been the case with the most recent sequel, and will be set somewhere in California. I’m sure a lot of Capcom and Dead Rising fans have a lot of questions now that we know a trailer has been completed. For now, we’ll have to wait a little bit longer until the final product from Blur Studio surfaces. It shouldn’t take that long, considering the cat’s now out of the proverbial bag. Are you looking forward to Dead Rising 3? Share your thoughts in the comments below!